Cardisure 10mg Tablets are used in the treatment of congestive heart failure in dogs. 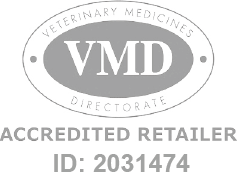 Cardisure Tablets - 10mg is a Prescription Only Veterinary Medicine and by law requires a prescription from your vet. Cardisure 10mg Tablets are used in the treatment of congestive heart failure in dogs, specifically in cases of cardiomyopathy. The beef-flavoured tablets are quickly absorbed on an empty stomach, lowering the blood pressure and loading pressure on the heart by reducing the constriction of both arteries and the veins.